Edward Michael Egan laid to rest at St Patrick’s Cathedral. 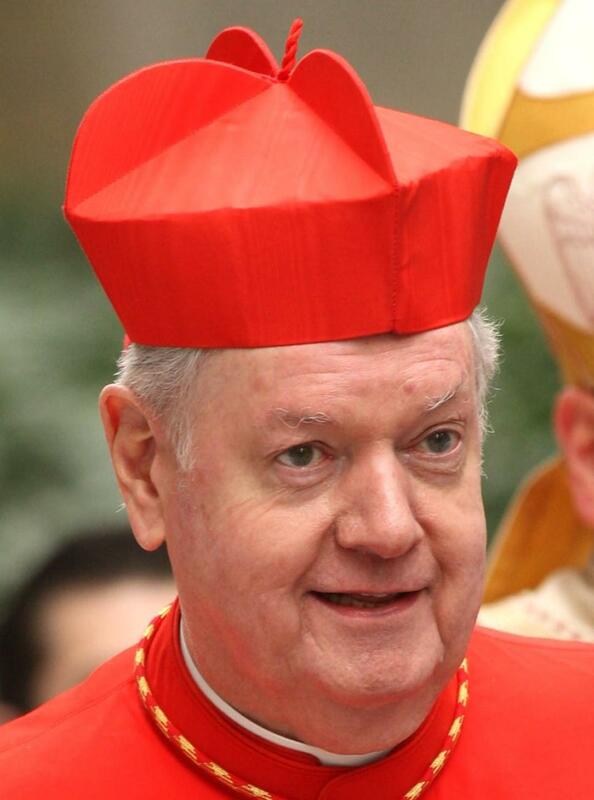 May the Good Shepherd lead Cardinal Egan home to the Father. 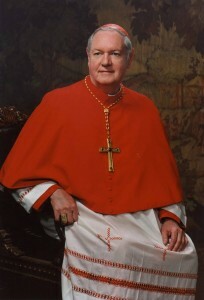 “Dilexit Ecclesiam.” –He loved the church. Beginning at noon on Monday, March 9th, the Cathedral will be open until 6 p.m. for public visitation and then a vigil mass. A funeral Mass celebrated by Cardinal Timothy Dolan will be heldTuesday, March 10th, in the afternoon and begin with a procession at1:30 p.m. The entombment will immediately follow the Mass. Public visitation hours on Tuesday are from 7 to 11 a.m. In lieu of flowers, the Archdiocese of New York is asking that memorial donations be made to the Inner-City College Fund and to the restoration of St. Patrick’s Cathedral. 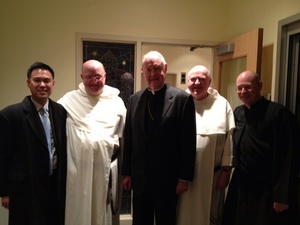 Cardinal Egan, JCD, preached Solemn Vespers and Benediction. 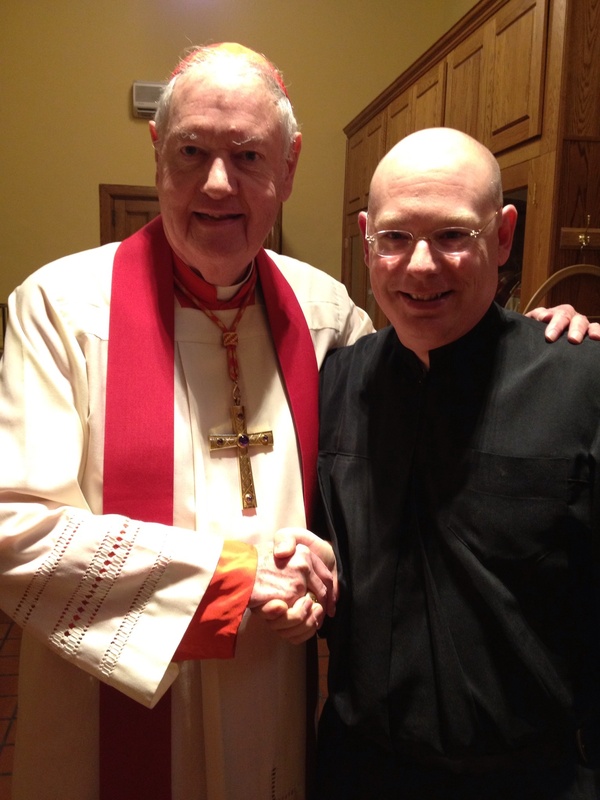 He was the final preacher for our Sunday Vespers highlighting Great Preachers. experience; it was a joy to hear about things historical and present. Time spent with the Cardinal and Father Brendan a perfect ending to the day and perfect beginning to Holy Week. Cardinal Egan celebrates his 80th birthday. 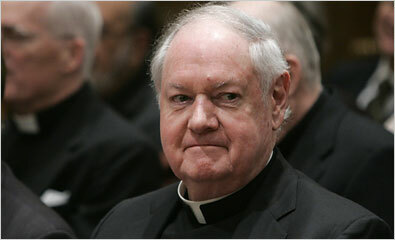 Canonically, he loses his right, responsibility and duty to enter a conclave to elect a pope. He will likely be attending to fewer things in Rome as travel is getting more and more difficult. the dead and gave him glory, so that your faith and hope are in God.